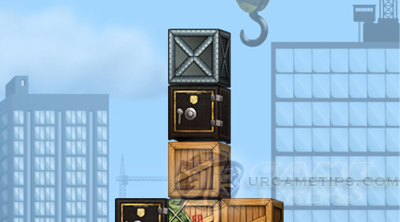 Here's a quick walkthrough, strategy and turn solutions guide for the City World stages, in the very addictive puzzle game - Swap The Box! - A Specific Row will always start from the bottom. So, if there are 3 rows of boxes in the current stage, the 1st Row will always refer to the bottom most row of boxes. The 2nd Row refers to the 2nd row of boxes from the bottom, and so on. - A Specific Box will be given and named as 1st Box, 2nd Box, or 3rd Box from the left (always from the left) of the specific Row given. - Move means - to move the specified box to an open space. - Swap means - to swap the specified box with another box near it. - Ex: For the "Turn 1: Move the [1st Row - 3rd Box] to the left", you can actually think of it as "1-3 left" to easily memorize the turn while playing the game. - Turn 1: Swap the [3rd Row - 1st Box] with the one above it. - Turn 1: Move the [4th Row - 1st Box] to the left. - Turn 1: Move the [5th Row - 1st Box] to the left. - Turn 1: Move the [6th Row - 1st Box] to the right. - Turn 1: Swap the [1st Row - 2nd Box] with the one above it. - Turn 2: Swap the [1st Row - 2nd Box] with the one above it. - Turn 2: Swap the [2nd Row - 1st Box] with the one below it. - Turn 1: Swap the [4th Row - 2nd Box] with the one on the left. - Turn 2: Move the [1st Row - 4th Box] to the right. - Turn 1: Swap the [2nd Row - 4th Box] with the one on the right. - Turn 2: Swap the [4th Row - 3rd Box] with the one below it. - Turn 1: Move the [3rd Row - 1st Box] to the right. - Turn 2: Move the [2nd Row - 1st Box] to the left. - Turn 1: Swap the [2nd Row - 3rd Box] with the one on the left. - Turn 2: Swap the [4th Row - 2nd Box] with the one below it. - Turn 1: Move the [3rd Row - 2nd Box] to the left. - Turn 2: Swap the [1st Row - 2nd Box] with the one on the left. - Turn 1: Swap the [1st Row - 5th Box] with the one on the left. - Turn 2: Swap the [4th Row - 1st Box] with the one below it. - Turn 1: Move the [3rd Row - 5th Box] to the right. - Turn 1: Move the [7th Row - 1st Box] to the left. - Turn 2: Move the [5th Row - 1st Box] to the left. - Turn 3: Swap the [2nd Row - 2nd Box] with the one below it. - Turn 1: Move the [5th Row - 2nd Box] to the right. - Turn 2: Move the [6th Row - 2nd Box] to the right. - Turn 3: Move the [3rd Row - 3rd Box] to the left. - Turn 3: Swap the [2nd Row - 3rd Box] with the one below it. - Turn 2: Move the [4th Row - 1st Box] to the left. - Turn 1: Swap the [1st Row - 3rd Box] with the one on the left. - Turn 2: Move the [3rd Row - 1st Box] to the right. - Turn 3: Move the [2nd Row - 1st Box] to the right. - Turn 1: Swap the [2nd Row - 2nd Box] with the one on the left. - Turn 2: Move the [3rd Row - 1st Box] to the left. - Turn 1: Swap the [2nd Row - 1st Box] with the one on the right. - Turn 2: Move the [2nd Row - 2nd Box] to the right. - Turn 3: Swap the [2nd Row - 1st Box] with the one below it. - Turn 4: Move the [2nd Row - 1st Box] to the right. - Turn 1: Swap the [1st Row - 2nd Box] with the one on the left. - Turn 2: Swap the [6th Row - 1st Box] with the one below it. - Turn 3: Swap the [2nd Row - 1st Box] with the one on the right. - Turn 2: Swap the [2nd Row - 2nd Box] with the one on the right. - Turn 1: Swap the [4th Row - 6th Box] with the one below it. - Turn 3: Swap the [2nd Row - 6th Box] with the one below it. - Turn 4: Swap the [2nd Row - 3rd Box] with the one below it.